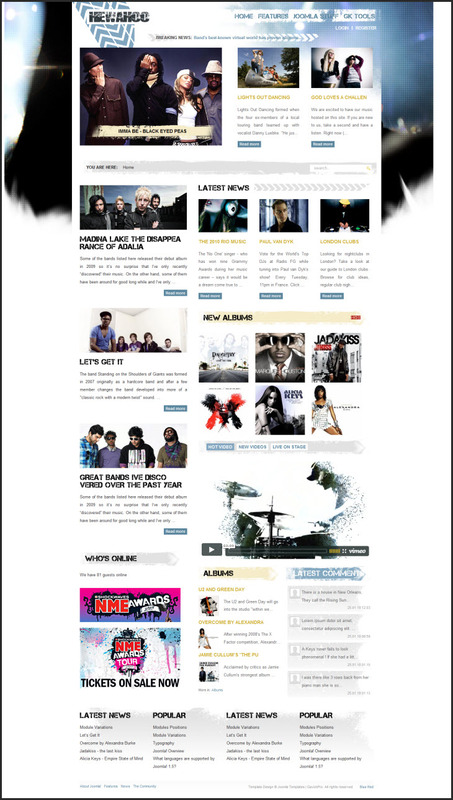 GK Hewahoo - excellent music portal template for CMS Joomla, designed by professional designer studio GavickPro. The original design layout is designed with all the modern requirements, which are responsible for the stylish look of the site. The template presents the best studio expansion, as well as a functional component to online listening music files. Corporate Gavern framework gives special pattern optimization, fast page loading speed and support for various mobile platforms.